We will assess your organization against our Performance Management framework to better identify performance gaps and areas of critical need. This is a baseline understanding to assist in evaluating and prioritizing initiatives. Our Strategy Map service offering transforms the strategic objectives of the organization into a standardized framework. This framework provides a consistent tool for the entire organization to better understand strategy. Our initiative assessment & workshop provides insight into prioritizing and managing initiatives to maximize ability to execute. The KPI Design Workshop is a fundamental component of our solution lifecycle as we help focus on what matters, and how the KPIs will be reported, analyzed, and presented as triggers for discussion. 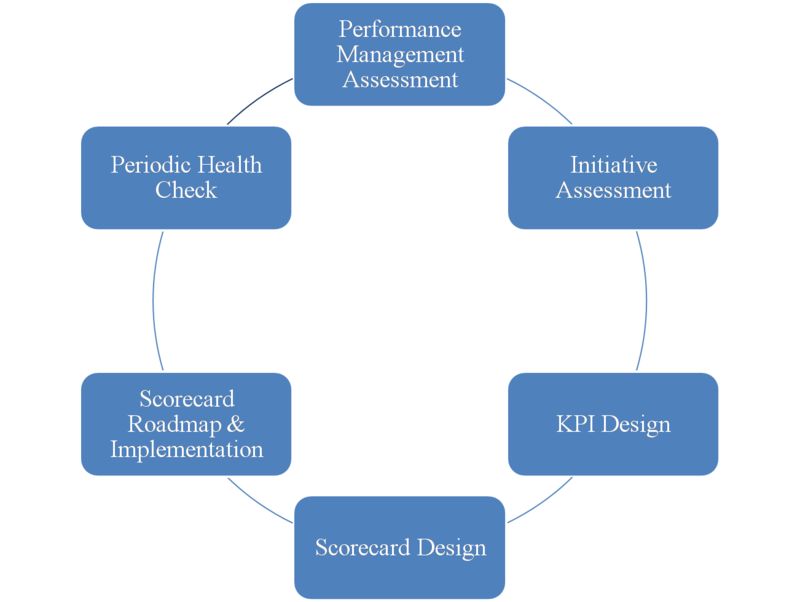 The central component to creating consistent performance management reviews is the scorecard. We will help you create scorecards that are consistent across the organization and support the overriding management process. We also believe that it is easy to design a platform, but we also want to provide long term care to ensure that the management process is operating as per design and to help identify when things have changed. Part of the Performance Management cycle is understanding where business processes are breaking down and how to define the value of a customer.